Arnold Hano, who some describe as the “Sage of Laguna,” will speak at 10:30 a.m. Sunday, Oct. 1, at the Unitarian Universalist Fellowship, 429 Cypress Dr.
Hano and his wife, Bonnie, have been involved in community affairs since becoming residents in 1955. Hano’s activism ranges from pressing local barbers to cut the hair of people of color in 1955 to coastal preservation and seeking housing for the homeless. The couple were honored as 2013 Citizens of the Year. Hano, an award-winning writer, has taught writing at several colleges. The documentary, “Hano! 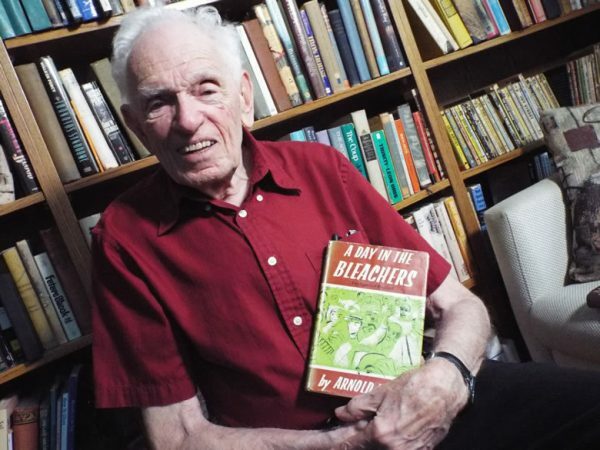 A Century in the Bleachers,” about his life and sports-writing work was released in 2015. 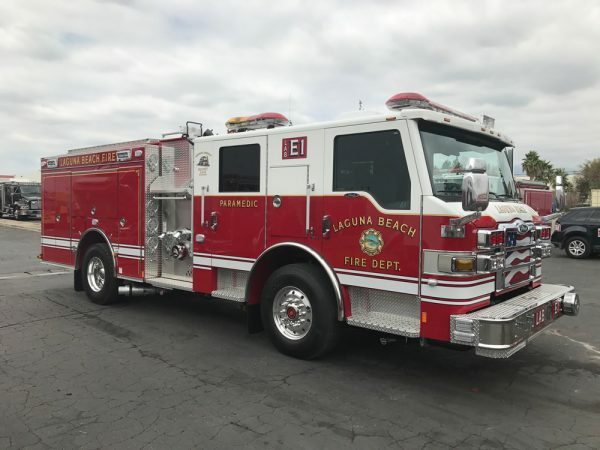 The Laguna Beach fire department took delivery of a new fire engine last week. The $644,000 engine was built by Pierce Manufacturing and will soon go into service at Station #1, the downtown location. The department also received a new command vehicle, which will be placed in service at station #2 at Agate Street. Local resident Maurice Possley, a researcher for the National Registry of Exonerations, will share his insights with the political activists involved with Laguna Beach Huddle on Tuesday, Oct. 3. Ileana’s Annual Poolside Tea to benefit the R Star Foundation takes place this Sunday, Oct. 1, at the host’s home, 17151 Gleenleaf, Huntington Beach. Participants will enjoy refreshments and Nepali dancing and learn of rebuilding efforts in the past two years in the villages R Star serves, which were struck by earthquakes. Rosalind Russell, who is known for establishing a school and goat-giving project in rural villages in Nepal. In honor of Indigenous People’s Day, healer Jen Hoy will describe connecting with the wisdom of the earth at Unitarian Universalist Fellowship, Sunday, Oct. 8. Services at 429 Cypress Dr. begin at 10:30 a.m. All are welcome. Jenny Taylor Boudoir Photography has opened a studio in Laguna Beach at 31706 S. Coast Highway. Tickets are now on sale for the Art of Design – Create a Seat to End Homelessness benefit from 7-9 p.m. on Saturday, Oct. 7, at Coldwell Banker, 840 Newport Center Dr., in Newport Beach. The evening promises live music, libations and cuisine plus an auction featuring chairs designed by Orange County’s top designers. Last year’s inaugural event raised $145,000 for the Illumination Foundation, which provides services for homeless clients. Tickets of $100 each can be purchased at: https://www.ifhomeless.org/aod2017/#attend. An upcoming forum presents an opportunity to evaluate congressional candidates’ knowledge and stance on climate change. Laguna Beach residents Hans Kierstead and Michael Kotick, along with Laura Oatman of Newport Beach and Tony Zarkades of Huntington Beach, all Democratic challengers for the 48th congressional district, intend to participate in a 6:30 p.m. climate policy forum Sunday, Oct. 8, at the Irvine Ranch Water District, 15500 Sand Canyon Ave., Irvine. The activist network Orange County for Climate Action hosts the free event, open to the public. Challengers for seats in the 45th and 49th districts will also participate, says Roger Gloss, OCCA president, in an announcement.